Please call owner GREG at 734-329-3503. 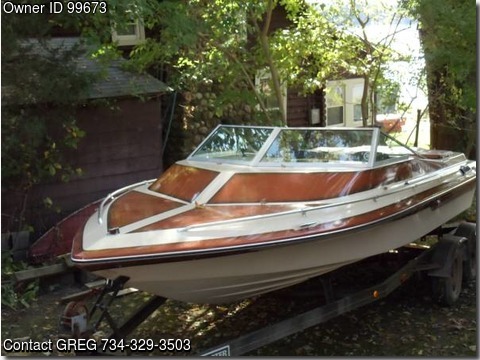 VERY CLEAN BOAT IN GREAT SHAPE. 454 CI MOTOR W/BERKELEY JET. ONLY 50 BREAK-IN HOURS ON NEW MOTOR AND JET DONE BY S & A PERFORMANCE MARINE. VERY SCARY FAST BOAT AT TOP SPEED 70 MPH. LIFT IS R & G 3000 LB (CADILLAC OF LIFTS) WITH NEW COMPOSITE PULLEYS AND CABLES. CAN SELL BOAT OR LIFT ONLY.